With the Fansbet deposit code you can unlock a special welcome bonus* that gets you £20 when you bet £20. Stick around to get more information about this exclusive welcome offer and other features that are available at Fansbet. What can I get with the Fansbet deposit code? Find all the bonus information in the table below. There is something available for all player types. Key T&C: New customers only. Min. deposit £20 (no Skrill/Neteller). The deposit and bonus must be wagered 1x on an Aintree Festival market at 1/2 (1.5) odds or higher. Cashed out bets do not contribute. This offer expires 6 April 23:59. 18+. T&C apply. Key T&C: Min. deposit £20 (no Skrill/Neteller). Max bonus is £200. Max bonus bet on slots is £4. Bonus money is only available on slots – some games excluded. 45x bonus wager in 30 days. Withdrawal before wager results in bonus cancellation. 18+. T&C apply. Key T&C: Only available to new customers. Min. deposit £20 (no Skrill/Neteller). Cashback capped at £20. Max bet £100. Only valid on sports betting with min odds 3/4 (1.75). Must wager £400 for full cashback. Offer expires after 30 days. 18+. T&C apply. Please keep in mind that you need to wager 1x on an Aintree Festival market if you want to claim the Fansbet Sportsbook welcome offer. Make sure to read full T&C for this promo offer as they do apply. As you can see, their sports betting welcome offer is available for the Aintree Grand National 2019 so make sure to use this opportunity to have more fun while betting on horse races online. Click on the button below to visit the Fansbet website. By using the “Join Now” button you will start the registration process. Once you’ve finished the signup process, you can deposit funds into your account. Within the Cashier menu, you will be able to enter the Fansbet deposit code and start claiming their promotions. (T&C Apply). To be able to claim the Fansbet welcome bonus, you need to make sure that you meet this operator’s terms and conditions. The full list of T&Cs for this promo offer is available at their website if you use one of the buttons on this page. During your first deposit, within the Cashier menu, you need to enter the Fansbet deposit code. Norwegian and Swedish players are excluded from using this promo offer. The first minimum deposit and wager need to be £20 or more. This welcome offer expires on the 6th of April, 23:59. The general Fansbet bonus terms and conditions apply, so make sure to check them out at this operator’s website. Besides their sportsbook welcome bonus, the Fansbet deposit code can help you to unlock some other promotions at this operator. 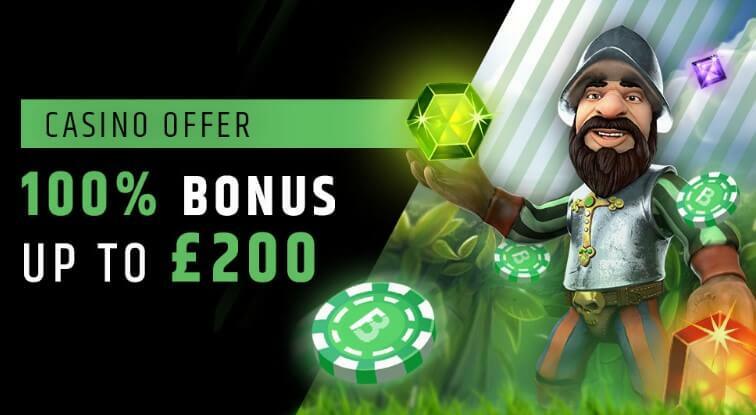 With the Fansbet Casino welcome bonus offer**, your first deposit will be matched with a 100% bonus, up to £200. Please keep in mind that you can only use this welcome bonus on slots. (T&C Apply). **Significant T&C: Min. deposit £20 (no Skrill/Neteller). Max bonus is £200. Max bonus bet on slots is £4. Bonus money is only available on slots – some games excluded. 45x bonus wager in 30 days. Withdrawal before wager results in bonus cancellation. 18+. T&C apply. Once you register a new account with the Fansbet deposit code and deposit £20 or more, you are eligible to this promo offer*** that can get you a 5% cashback on sportsbook turnover. Later on, you can convert your cashback to real money by clicking on the “Convert” button within the Bonuses menu. ***Significant T&C: Only available to new customers. Min. deposit £20 (no Skrill/Neteller). Cashback capped at £20. Max bet £100. Only valid on sports betting with min odds 3/4 (1.75). Must wager £400 for full cashback. Offer expires after 30 days. 18+. T&C apply. Remember that the Fansbet deposit code gives you a chance to bet on more games and stay in the game longer. 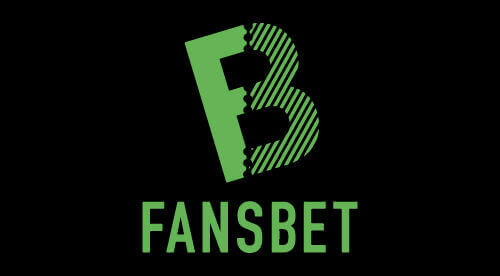 If you prefer betting on sports events as they are taking place, then you will be happy to know that at Fansbet you can enjoy a lot of live betting opportunities. We liked the fact that this online bookmaker offers a good range of games as part of their live bets. Football, tennis and basketball seem to be the most popular sports categories when it comes to live betting on this platform. And you can also use the Fansbet deposit code promotions to bet on live games as well, unless it’s not stated in the particular bonus offer’s T&C. Sadly, there is no live stream feature at Fansbet. We are hoping that this will change in the near future, so stay tuned for any updates on this matter. Fansbet has a dedicated app for Android and iOS mobile devices. Android app can be downloaded from their website while the iOS app can be found within Apple’s App Store. The overall design of this mobile app makes your online betting experience a lot better. All the features are easily accessible with a few finger taps. Additionally, you can use this online betting platform through a browser-based client like Chrome, Safari, Mozilla, etc. Keep in mind that you can still use the Fansbet deposit code and claim their welcome bonus even though you are a mobile user. Please remember that using some payment methods on Fansbet can exclude you from claiming the welcome bonus. Always make sure to read their T&Cs before you decide to deposit or withdraw your funds. Some payment methods can also have certain limits attached to them when it comes to the amounts that you can deposit and withdraw. You can find more info on this at their website. If you stumble upon any issues while using this online bookmaker, feel free to check their FAQ page. This page is very well organized and you can quickly find your answer if it is in the database. Another way to ask for help on this platform, whether it is in regards to the Fansbet deposit code or some of their other features, is to contact their customer support team. You can reach the support team through a live chat feature on the site or an email address. The following section of this review contains answers to the user’s most frequently asked questions. You will surely find one of the answers specifically useful to you. Is there a Fansbet welcome offer currently available? Yes. There is a welcome offer available for both sportsbook and casino section of this online gambling platform. Who can claim this Fansbet deposit code offer? This welcome offer is available for new players only. For more terms and conditions make sure to check this operator’s Promotions page. Currently, there is no special bonus for mobile users at Fansbet. But they can still use the regular promo offers at this platform. Is there a Fansbet app? Yes. Users can choose from the iOS and Android mobile app from this operator. You can check their FAQ page for more information or directly contact the Fansbet customer support team. Get your Fansbet Deposit Cde by clicking here!